I opted not to share the Goodreads book summary because it is spoilery for the previous book in the series, The Mark of Athena. This will be my non-spoilery review of the book, and my full review will be on my Goodreads page. How can you not love an author who will do a dedication like this?! The House of Hades did not disappoint. This book comes in 3 pages shy of 600, and I read the entire thing in one weekend. I love the action and the pacing in Rick's stories, and this one was once again on point. The characters continued to grow in a realistic way. The theme of this book really seemed to me that you CHOOSE your destiny. From Hazel's crossroads, to Jason's decision, the characters were met with the idea that they had to choose what they felt was right in their hearts. Look! It's me and Rick!! Thrilling and excellent. 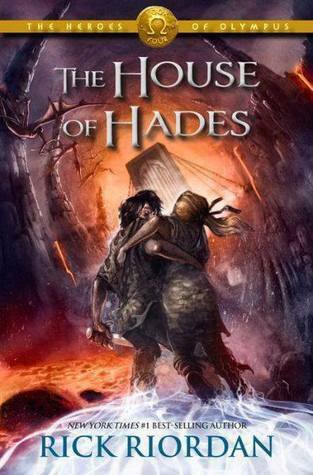 Riordan pulls you into the world of these demigods. This book is one of the best I've ever read.